Personal loans are unsecured loans that are applied and taken for personal use by qualifying people in Singapore. Qualifying persons are those who have a steady stream of income, from employment or business activities, and are citizens of Singapore, or foreigners with authority to live and work in Singapore. In addition, you must be above the age of 21 years, which is stipulated by law. Credit 21 legal and licensed moneylender in Singapore is an established personal credit institution, having existed for many years. 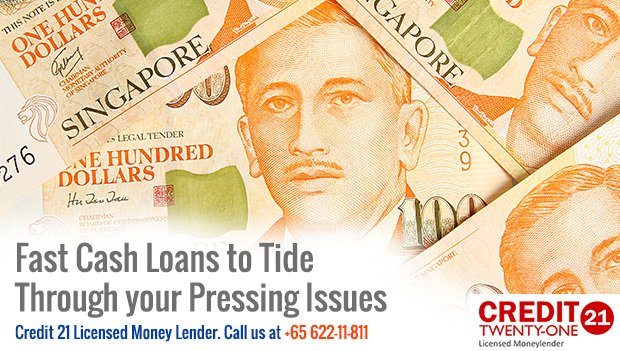 Our personal loan Singapore facilities are available for your various needs at any time you need them. Because these loans do not have any security attached to them, they have higher rates of interest than typical secured loans like car loans, mortgages, among others.  This credit is intended for use as a short-term means of financing urgent needs. If you have an emergency of any kind and you need money urgently, our personal loan Singapore are the best option since you can get the money on the spot as soon as all the required documents have been submitted, loan is approved and the loan agreement is signed between both parties for the personal loan Singapore that you need. Only take up as much as you need to fulfill a certain need, and try to pay it back in as little time as possible by making larger instalments where possible. This ensures that you clear debts in a shorter period and also open up your servicing ratio to ensure you can get loans when you need to apply for them. Because these personal loan Singapore are unsecured, it’s important for us to assess your financial abilities to determine whether you can pay back the loan, and also to help determine a suitable repayment plan that will not over-burden your income. In doing this, Credit 21 moneylender examines a few characteristics. We look at your proof of employment, which is given by your employment contract stating your salary. We’ll also need for you to provide your last two payslips and bank statements which help us assess your debt servicing ratio, income and other expenses. This will help us workout how much we can give you, and how it can be repaid. For people who don’t have a salary, such as entrepreneurs and people who are paid on commission, their last two income tax returns can help us work out an average monthly earning figure which is then used to calculate the personal loan Singapore amount they qualify to borrow and how it should be repaid. At Credit 21 money lender, if you have a poor credit score, we can help you secure credit provided your current financial situation can support the loan. In addition, people who were previously bankrupt can still get a loan from us once they provide a letter of discharge. This is what makes us superior to banks and other traditional credit businesses that require a formerly bankrupt individual wait 5-7 years before acquiring credit. However, Credit 21 will not extend credit if you have exceeded your borrowing capacity. The use of personal loan Singapore is mainly to bail you out of risky situations like medical emergencies and times where legal ramifications may result if payment is delayed. In these situations, don’t apply for more than you need just because you qualify. Avoid using loan funds for games of chance like betting, gambling, speculative investment trading or other unsure ventures. Use the amount of money taken to solve your need. If there is any extra leftover, you can come to us and pay it in as a bulk partial settlement of your loan, instead of spending it unwisely. With wisdom and good planning, your personal loan can help you navigate difficult patches with ease. Call us today at 622-11-811 or fill up our online application form to apply for yours. In order to maximize your chances of getting the full loan amount that you need in your time of need, we will advise that you avoid taking too much credit at one given time. Get your original stress-less life back today. At Credit 21 we appreciate how tricky the situation can get and this is the reason we have packaged flexible bad credit personal loan Singapore for our customers. We are one of the top licensed money lender in the country with attractive interest rate, and our experience in the industry makes us your one-stop-shop for all financial services. 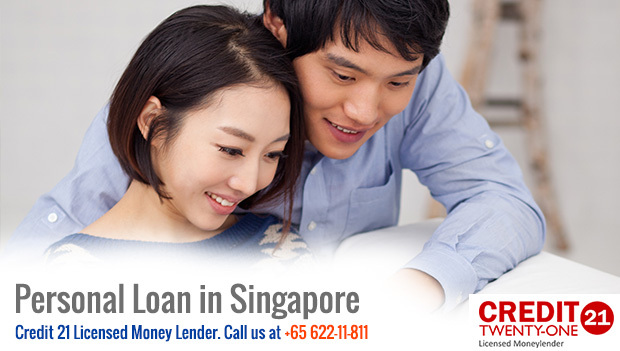 We provide top-notch personal loan Singapore to salaried borrowers to meet all types of financial emergencies. Our online personal loans application makes it easy to get your loan application checked within the same day. Our executives are highly qualified to guide you through the loan terms in order to help you improve your financial situation. Once you repay your loan, it will reflect on your credit rating which helps you access more funding. 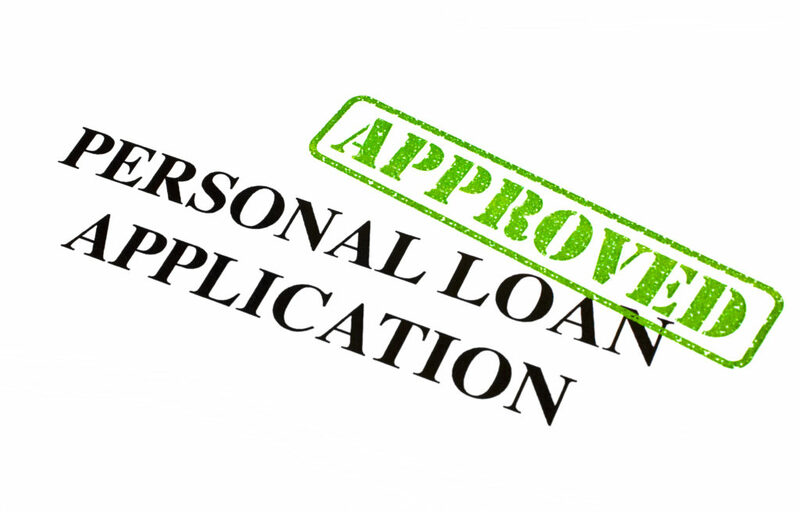 If you are struggling to get credit due to your bad credit profile, send us a non-obligation personal loan Singapore application and we can process your loan application much faster. Financial emergencies can happen to anyone and you need to have a reliable financial partner to rely on. If you are a resident in Singapore, you can’t rely on your bank especially when you have poor credit rating. If you have tried applying for a loan from your bank with bad credit you most likely have been turned away. At one point or another, you have been faced with a situation where you have a financially demanding need and you have nowhere to get the kind of money required within a short period of time. Because of today’s economy and high standards of living, the average Singapore citizen cannot afford to save as much as they used to, and even when they do, it is not always enough to bail them out of every situation that can arise. This can be a very stressful time, especially where you cannot turn to friends, relatives and family to help and get personal loan Singapore from them as they too are just struggling to get by. So, where do go to get money fast and with the least hassle? Try your established, legal and licensed moneylender at Credit 21 Pte Ltd to get the best quality of service for one of the top-notch personal loan moneylenders in Singapore. Licensed moneylenders are available and mandated by law to offer easy credit solutions compared to banks and other bigger financial institutions. However, not everyone who calls themselves a moneylender has the solutions for your fast cash personal loan in Singapore. You must carefully assess the credentials of every lender before applying for and taking up a loan with them. If you look up your best moneylender Credit 21 on the web, you will find that we are registered with the Ministry of Law. Our license number is proof of it, which means that we are a legitimate business that can help you deal with financial emergencies. Our services are ideal because we can give you the money you need quickly, with streamlined loan processing after the required documents have been submitted. This speed allows you to respond to emergencies in a timely fashion. The next step is to find a suitable licensed moneylender from whom you can apply for the loan. To do this, there are various factors to be considered such as the cost of interest, any other overhead costs, the repayment terms and other terms and conditions associated with the loan. At Credit 21 money lender, we offer highly competitive rates of interest for all our loan products, which gives you an opportunity to save on costs associated with the loan. We also would not lure you in with low interest just to slap you with a million hidden charges that will leave you sweating under the burden of repayment. We are a credible and trustworthy business owner who would never spoil our reputation that we have so carefully nurtured over the years just by undercutting our customers in their time of need. Trust us to provide the quality of service that you deserve every time you need a fast cash loan. How to begin – how much do I need? When you need a fast cash loan, the first step is to determine how much you will need to borrow. This can be calculated from the cost of the need for which you’re borrowing and any other overheads, or you can make a close estimation in consultation with a knowledgeable person. The reason for this is that you want to make sure you don’t borrow less than you require, which means you’d have to find another way to raise the difference. Also, you shouldn’t borrow more than you require because chances are that you’ll spend the surplus on non-important things, and hence will have incurred the cost of financing where it wasn’t really necessary. Once you know this, you can easily find out whether you will be able to raise the full amount from a loan. If you already have a lot of debt you are servicing, you may not be able to secure the whole amount, which is why it’s advisable to always keep your debt burden as light as possible for times of need. Fast cash loans are frequently needed to sort out time-sensitive emergencies. Therefore, in order to ensure that your application is processed within the least amount of time, we’d advise you to call us in advance to find out what kind of documents we require for the loan processing. That way, as you submit the application, you will have the documents ready for verification and be able to get your approval just minutes afterwards if everything is in order. What we need depends on the way you earn your income and whether or not you are a citizen in Singapore. Credit 21 holds all the information submitted to us with the highest degree of integrity and confidentiality, which is why we tell clients not to submit personal documents with the online application. Instead, wait for a call from our customer representative to invite you down to our office to submit the required documents. This ensures that your account holder is at hand to receive them. You can depend on Credit 21 Money Lender, knowing that we are always available for you at all times, regardless of the need you have. Just contact us, and we’ll spare no effort to provide a customized, quality and timely solution to your money problem. When you are in a financial crisis, you cannot help but think of a quick solution. When this happens, it is important to do your research and find out information on financial assistance so that you can make a wise decision. Lending company comprise of secure and non-secure loans. With secured loans, the lender requires collateral to finance the borrower. In such cases, the borrower is able to borrow a lot of money and use his assets as collateral. Unsecured loans do not require collateral to be accessed. Proof of income and a bank statement is usually all you need. The best thing about personal loan Singapore is the fact that you can access it for whatever financial need you might have. If you would like to pay a debt, purchase an asset, establish a business or meet your daily needs, this loan is available. Another concern with many borrowers is the interest that will accrue in the event of repaying the loan. Different moneylenders and financial institutions offer different interest rates. The repayment period is usually in installments and flexible depending on the borrower’s ability to repay the loan. When looking for a personal loan in Singapore, research on lenders offering a low interest rate and a repayment option that is comfortable for you. It is important to ensure that you acquire your financial loan from a licensed financial provider. In Singapore, licensed moneylenders offer professional services and cater for the different financial needs their clients have. Licenses are given to financial institutions that are qualified and able to offer financial solutions to clients. This means that you can trust their financial advice and expertise. There are cases where you could have applied for more money than needed. The financial expert will advise you on the best loan to take and steps to follow to prevent a rollover situation. If you are in a financial crisis, chances are that you have a poor credit history. You might not easily qualify to get a loan from a bank or a financial institution. The best thing about getting a loan from a moneylender is the fact that he or she is able to take a risk and offer you the money to recover your credit worthiness. Being a financial adviser, the moneylender will be able to plan your financial income and expenditure and offer you advice on how to manage your finances well, and provide you the personal loan you require. Credit 21 - Money Lender Singapore is one of the highest rated in customer reviews.